What does it take to stay Muslim, married and extremely happy? At times, the day-to-day demannds of family life with individual careers can make us lose sight of the most basic human unit: our family. Each one of us will be accountable for our family, firstly to our spouse and secondly, to our children. 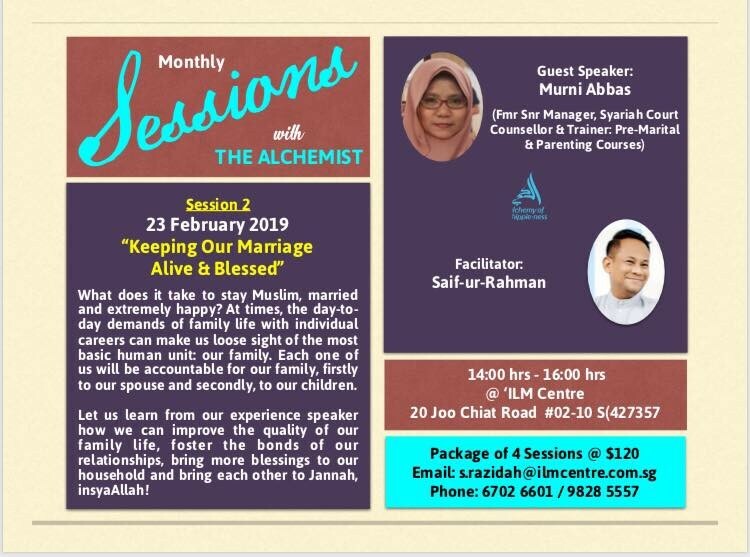 Let us learn from our experience speaker how we can improve the quality of our family life, foster the bonds of our relationship, bring more blessings to ur household and bring each other to Jannah, insyaAllah!